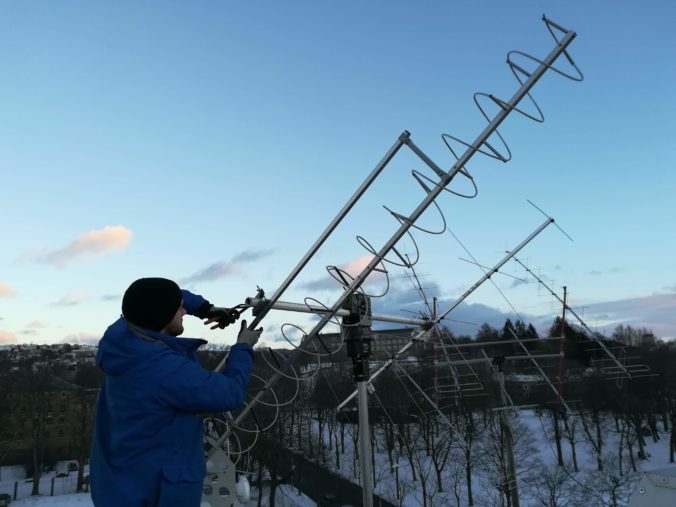 Øyvind, LA3WUA, tightening the 70 cm part of the LA1K SatNOGS station. 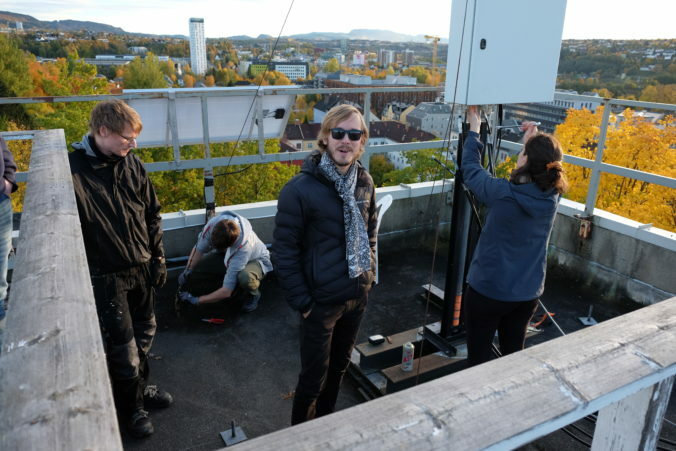 Action photo: Measuring one of the antennas after installing a new balun/phasing harness combo. 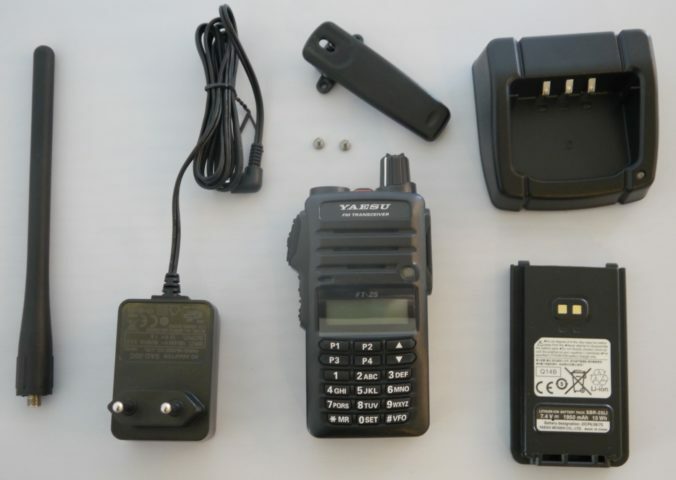 Inside the box you get: radio, antenna, belt clip, rapid charger, and a 1950 mAh battery. 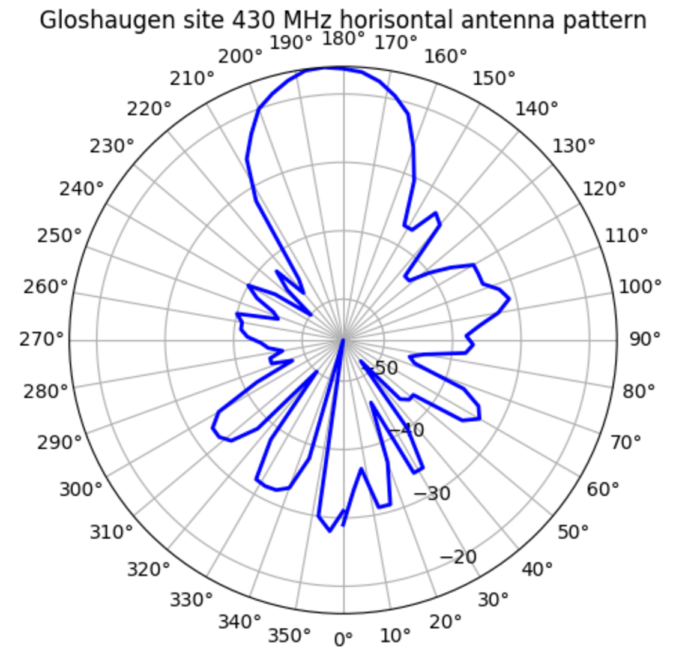 Measured antenna pattern of a Tonna 2x19 antenna for 430 MHz.